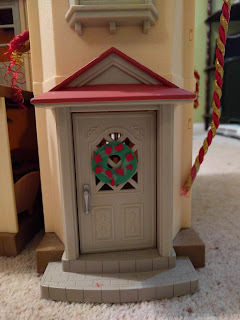 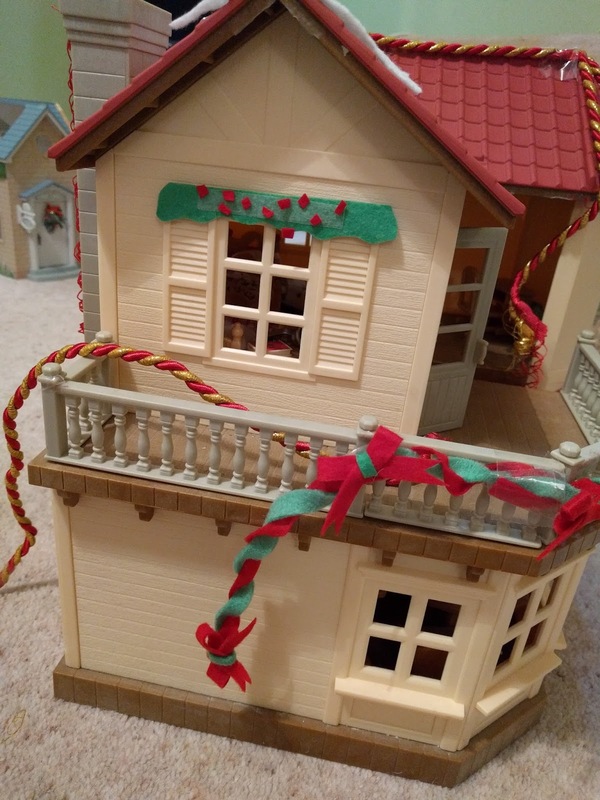 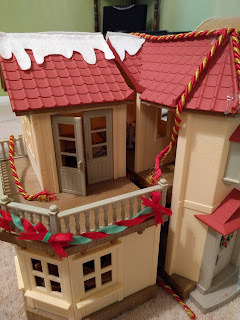 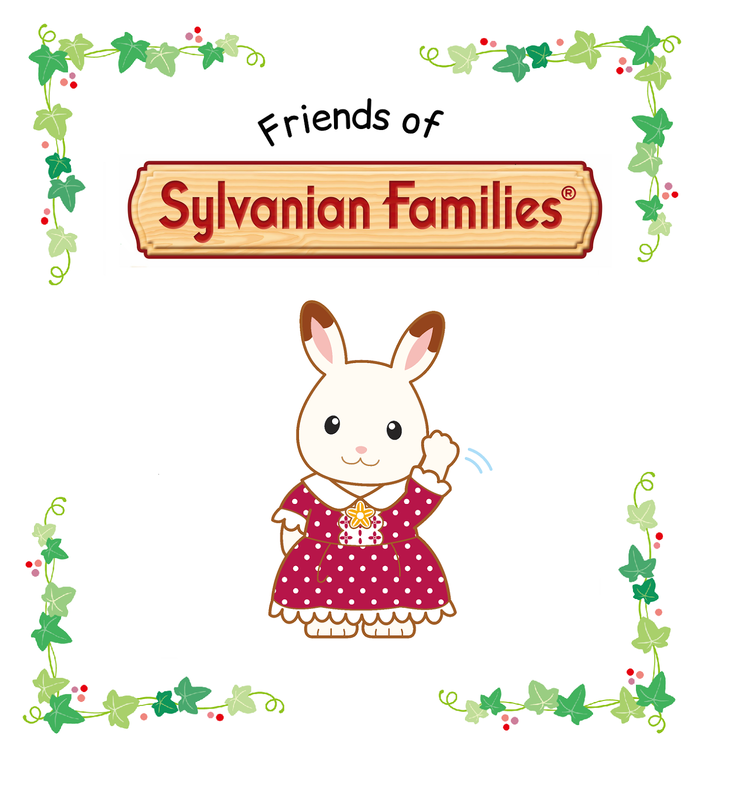 The human house is duly festooned with glittery, sparkly stuff and so I thought it'd be a great idea to get the children to decorate one of the Sylvanian families houses. 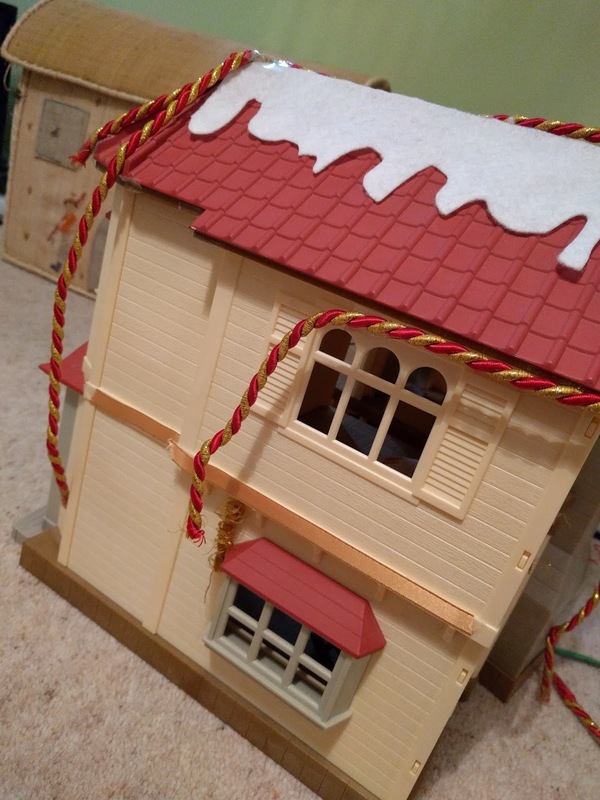 I had some white felt for snow (not enough) and I bought some pretty red and gold cord (which frays as soon as you look at it) and a pair of scissors to snip festive garlands and wreaths. It looked really cute for the first 10 minutes (I'm sorry you missed it) until we discovered that double sided sticky tape just isn't strong enough to hold up and the cord started to fray. 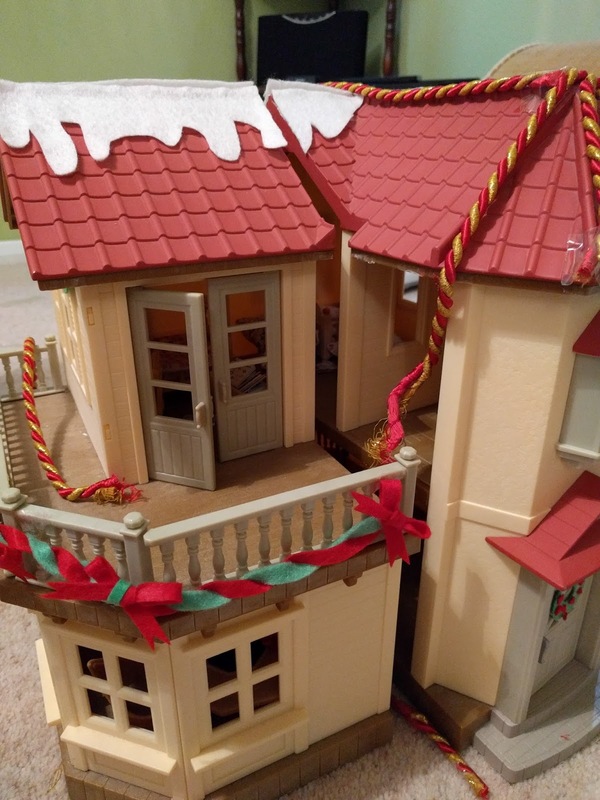 Less 'Christmassy' and more 'aftermath of a storm'. Oh well - the thought was there!! 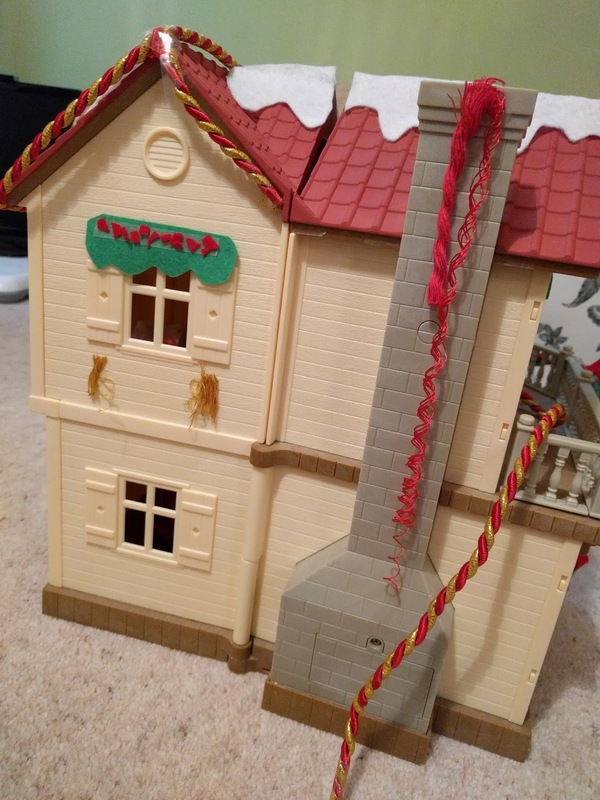 I would love to see some successful decorating attempts.